A Week of new Recipes: Day Three! 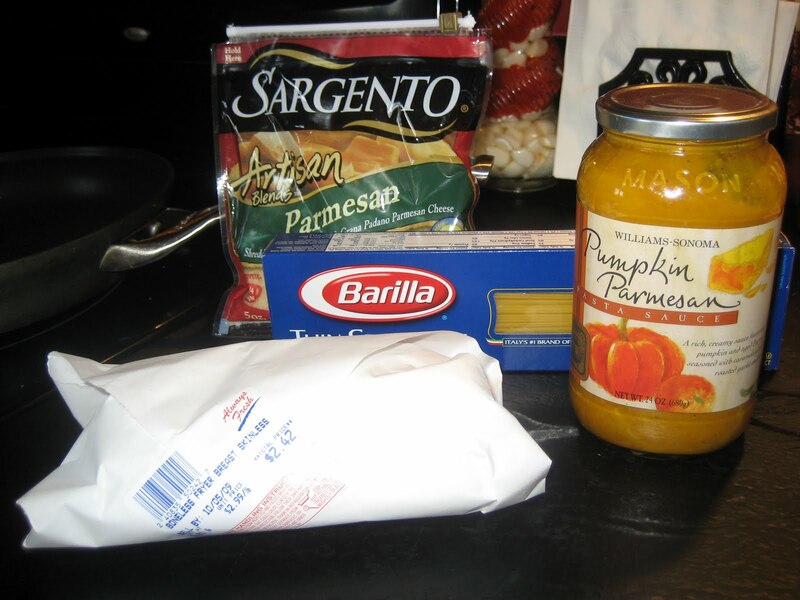 Last night wasn’t so much a new recipe but that I tried something new and well things aren’t always as good as they look…… Good thing you have me to review food for you! HA! 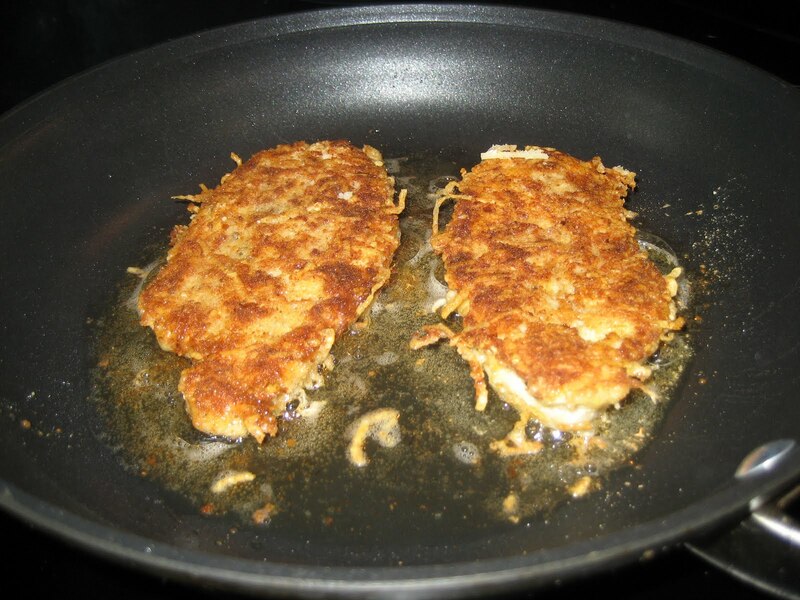 The GOOD from this meal is my pan fried breaded chicken cutlets, you can use this simple technique for a million different meals…this also happens to be our favorite way to eat chicken! 2. 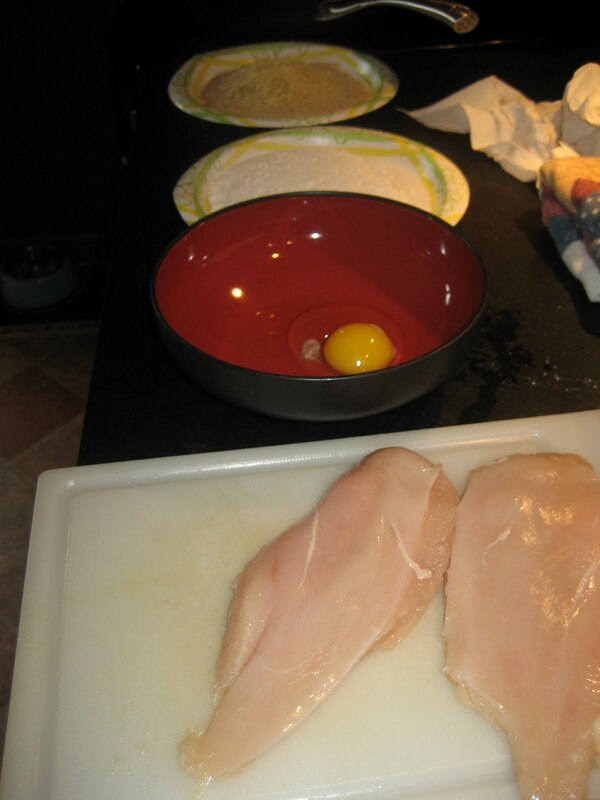 Then set up your breading stations (aka my paper plates) you then coat your chicken in flour, then dredge thru 1 beaten egg and then cover in bread crumbs. Just remember flour first!! This time I used plain bread crumbs and added Parmesan cheese to the bread crumbs but you can also use Italian bread crumbs or any combo you like! 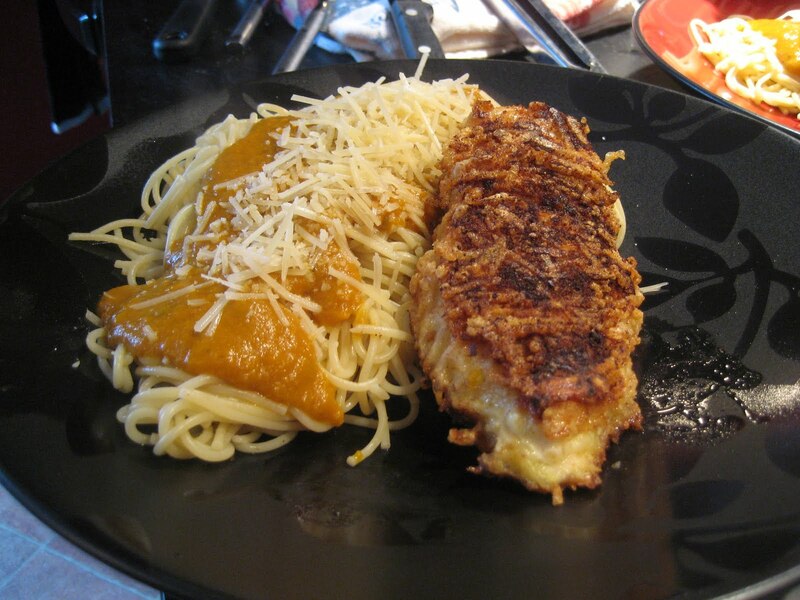 This was last nights meal we had the yummy breaded chicken cutlets with spaghetti noodles, pumpkin Parmesan sauce and topped off with fresh Parmesan cheese! So the Bad? 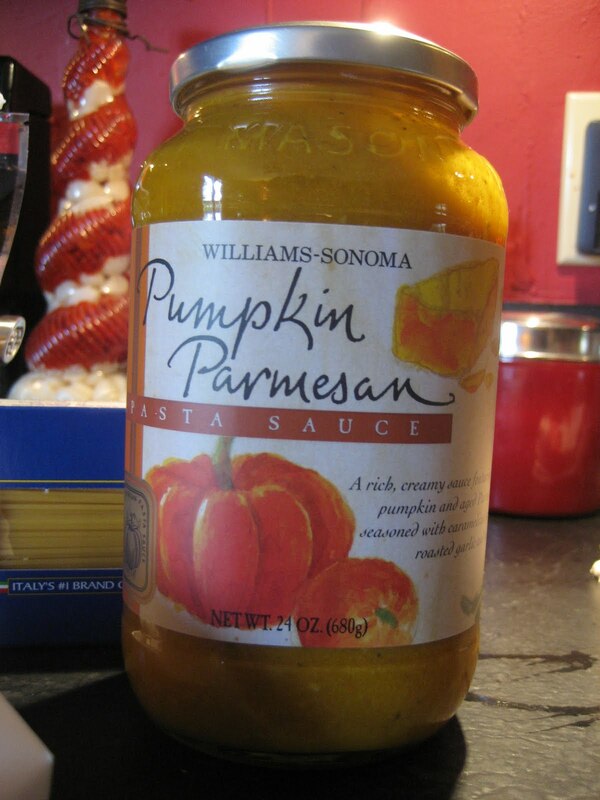 Well I love love Williams-Sonoma and I saw this sauce… Pumpkin Parmesan sauce and I had to have it, it was not cheap either it was like $15! It smelled very pumpkin like as I was heating it in a sauce pan and I thought the chicken would even out the bold flavors but little did I know this sauce tastes like NOTHING! Really, nothing at all……huge disappointment! Now you know……..
PS…. Matt & I fought over the last of “The Cake” last night… no joke argued over who’s piece was bigger, and Matt cut them very unfair so you know! I almost bought that sauce….so disappointed that it was tasty :(. Their sauces are usually SOOOO yummy!!! !